Northern regional newspaper publisher CN Group has followed Trinity Mirror by investing in a new print title, with the launch of a newspaper for northern England and southern Scotland. 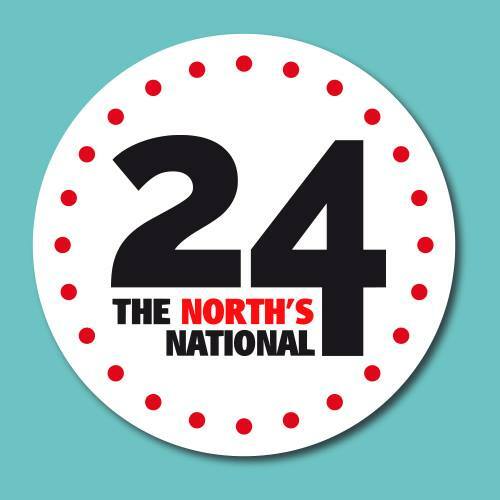 Billed as an affordable alternative to "London-centric" counterparts, the launch of 24 - The North’s National is set for 20 June, about six weeks after Trinity Mirror announced the closure of its short-lived print only title New Day. Like New Day, 24 aims to be 'politically neutral'. Around 95 per cent of the content will be provided by PA. According to CN Group, the 40-page newspaper, which is priced at 40p, will "provide a distinctly northern perspective to the nation’s biggest news stories". It’s targeting "disenfranchised readers of national newspapers looking for a less expensive alternative to London-centric titles". 24 will feature "news, lifestyle, features, celebrity gossip and puzzles", plus columnists and sport coverage that will "major on northern teams from Manchester and Liverpool to Newcastle and Glasgow". Its editor is Mike Haworth, who has worked on regional and national titles including the Daily Express & Sunday Express and the Daily Star & Sunday Star. CN Group, publisher of the North West Evening Mail and The Cumberland News, plans to distribute 24 across an area with a population of 1.15m, spanning Preston to Lockerbie, and Hexham in the east to Workington in the west. A new 24 national news section will be rolled out across its regional news websites, the company said. CN Group CEO Miller Hogg said: "24 will fill a large gap in the regional market by providing a northern take on the national headlines. We see our purpose as serving the communities in which we operate, so it follows that CN Group should produce a national newspaper tailored to our patch. We know our customers well and have the capacity to print, publish and distribute a new paper for the local market. "Our collaboration with PA will ensure our readers receive only the highest-quality journalism that delivers the facts devoid of spin, to help readers formulate their own views on the UK’s biggest headlines." CN Group has experienced consolidation in recent times. In April, the company announced that editors of its Times & Star of Workington and the Whitehaven News would leave their roles in a move to create a single team covering three publications.